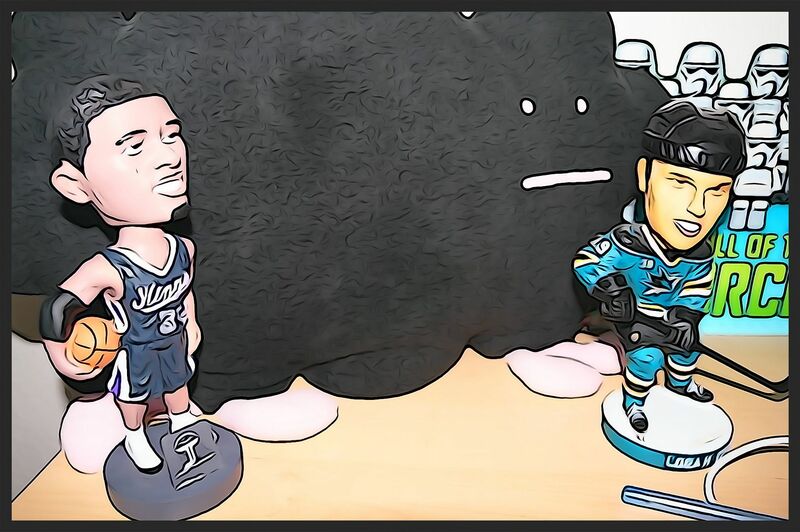 My main player collection is of San Jose Sharks center Logan Couture. I'm a huge Couture fan, and I also love the Sharks. But... what if Couture gets traded or chooses to sign with another team one day? I've been asked this question quite a few times by other card collectors. I hope it doesn't become a reality, but it's a good thing to think about. First of all, I'd like to say that I miss the old days when a player stayed with a team for their entire career. Or if not their entire career... like 90% of it so that their affiliation is really just with one team. I can name some non-hockey players who fit into this category. There's Michael Jordan. He's remembered as a Chicago Bull, but he did spend a very short time on the Washington Wizards. Another NBA favorite of mine, Clyde "The Glide" Drexler, was a Blazer until he spent a few of his last years with the Rockets. In the NFL, Joe Montana will always be remembered as a Niner, though he spent the end of his career with the Chiefs. If this happens with Couture, if he is in the NHL for 16-17 years and spends a few of his last years on a different team, that'd be fine... as he would be most likely just trying to eek out a few more years in the NHL by going somewhere else. But, if he moves on after a few years... what do I do? Would I stop collecting him? I think that would really depend on his 'star' status in the NHL. I'd say that right now Couture's skill level is under-appreciated. Playing in San Jose in the Western Conference doesn't help his card values too much. I really believe there is an East Coast bias, so players like Couture don't get nearly the attention they should. But for me right now, that's a good thing... because it keeps his prices down. If Couture were to move to a big market with a huge following, I might consider continue only collecting Couture's cards with him in Sharks gear. I sort of already do that as I don't really go after his Team Canada cards as much. To me, collecting Couture is the main part of my Sharks PC. If Couture were to leave, I might have a difficult time tracking down his cards showing him in another team's colors. But would I sell off my Couture PC? That would really depend... but I wouldn't really want to. I have worked really hard to get the PC as big and as complete as I could. I would hate to part with it. My hope is that Couture becomes a widely recognized NHL superstar. And I could be proud to have the best PC of his in the world! Even if he's not a huge superstar, I think he's on his way to becoming a franchise great for San Jose. I think of a player like Arturs Irbe who played goalie for San Jose in the 90's. He doesn't command high values in the hobby world, but the people of San Jose love him. He would have been a player I would have PC'd back in the day. Hah, but if someone were to offer me an insane amount of money... I'd be open ears! Sad... but true! Money talks. 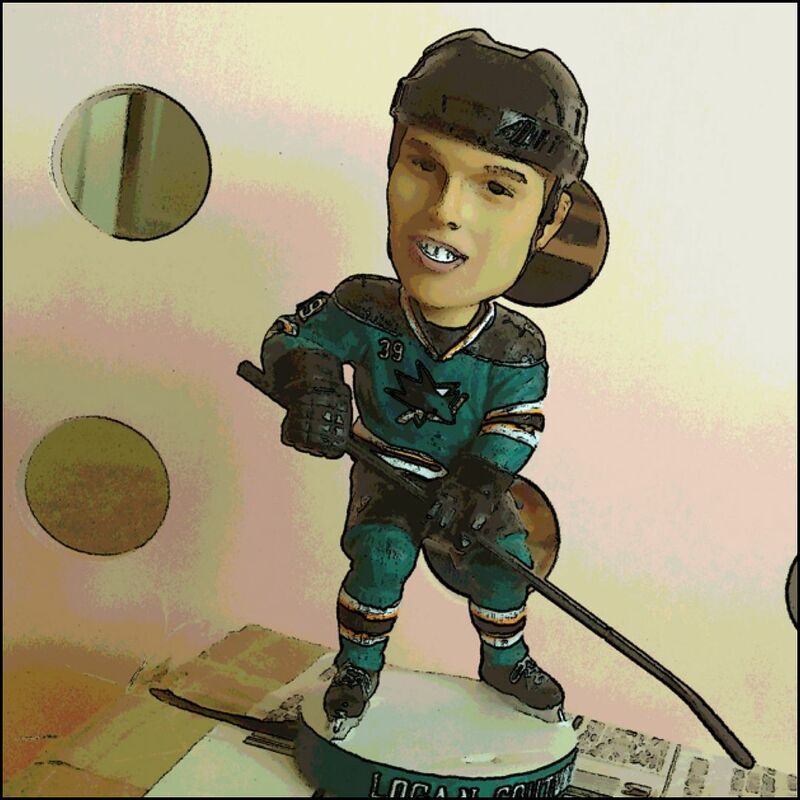 So, I guess if Couture were to get traded right now, I'd continue collecting him, but only as a San Jose Shark. I don't think it would makes sense to instantly try to sell all his cards and my collection. 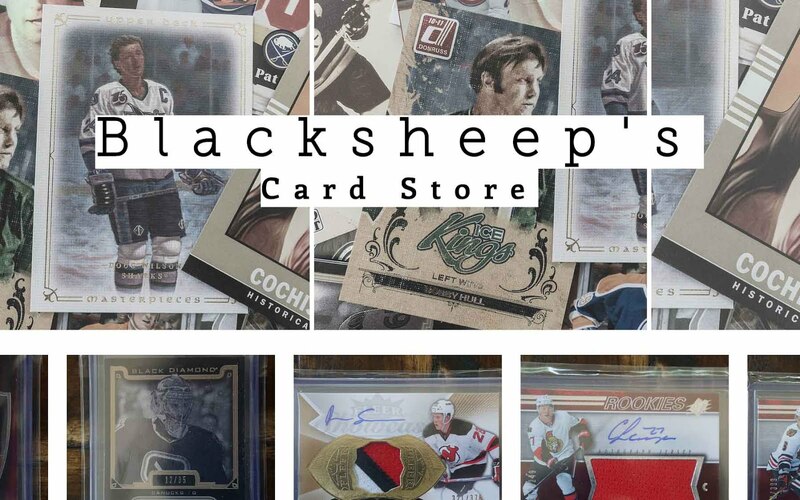 To me, players get traded and moved so much... if you do that with every player that leaves your team, your collection would always be in flux. I personally like a little stability. Lastly, I'd like to mention one player who has stuck to his team since the beginning... and that's Patrick Marleau. He has been great for the San Jose Sharks. Sure, people have said he has faded in the playoffs and all that... but overall he has probably been San Jose's best player EVER given his time, tenure, and numbers. I hope Couture can be what Marleau was/is to the Sharks... except with a Stanley Cup ring! Well... actually I hope they both get one together... and soon! What would you do if the player you collect gets traded or moves to another team? Has this happened to you? Let me know what you think in the comments below. Also, Let me know what you would do if you were in my place and Couture got traded! since tyler seguin was traded to dallas I've stopped collecting him. After what I heard what seguin had done I personally lost a good amount of respect for him. When I heard he was traded I was upset, even with the things he had done I think boston should have kept him. I think he will become a star one day.As of right now my player that I will try to collect the most will be seth Griffith ( bruins prospect ) because in the ohl he played for my home town team and now he will be playing for my favourite NHL team! thanks for the great read! - It has to be a player that I like. - The player probably has to be on another team than the one I root for, so I'd be willing to continue collecting him if he's traded or signs with another team. - Decent skill level, but still undervalued so his cards doesn't cost a ton of money. - Not bad enough that card companies will ignore him when it comes to jerseys/patches etc, or he ends up in europe within 2 years. - And not old enough that he's out of the league in a few years. As you can see, it's a horrible conundrum. thanks for the responses! yea, i agree with many of your sentiments. there are definitely a lot of factors that go into thinking about continuing your pc if your player gets traded or moves. there probably isn't a single choice that would help you make a decision, but rather a lot of choices put together. ALSO.. I have another question for you. what if the Sharks went bankrupt and had to move (like the Atlanta Thrashers) would you bother with the old sharks collection? would you follow them? and also, if a team like the Coyotes were to go backrupt where would you like to see them move if they could move anywhere. I would want a team in Seattle. hmm, if that time came i'd have to think about it... but as of now i think i would still collect them. they have been around for a lot longer than the thrashers were, so they have an established footprint (like the nordiques or the whalers... people still collect them). When I first started my kadri PC the average rookie card was 99¢ and the nice cards were about $10. 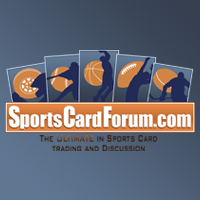 By the end of the season the card values jumped like crazy and the 99¢ cards were $7 and the $10 cards were $50. An example is when I bought a kadri the cup rpa for $30 at the begging of the year and now they are $100+(it never came, got refund). I had to drop the PC and with the low end stud I had, I traded for some amazing cards. I'm now building a kessel, franson, rielly PC and hopefully they stay with the leafs for ever!!! i do, but not as big as i do for couture.